Pinterest may not seem like the most obvious choice when it comes to forming new relationships or nurturing the ones you’ve already made. However, the image-heavy social media destination can certainly expand your sphere of influence. Read below and get some useful strategies for using it to your advantage. Take time to find boards that are associated with your industry or interests and make sure you follow them. That’ll give the impression you want to keep tabs on what others are saying and it could help you begin to form opinions about the industry-associated news. No matter what, it’ll increase your visibility, and prominence can help others recognize you as a good person to know. If you need a little help finding appropriate boards, the related pins section in your feed could help steer you in the right direction. Go beyond simply following boards that relate to your industry and make comments about them, too. It’s a good idea to do that after you’ve been following specific boards for a while and feel confident enough to make comments that are thoughtful and relevant to an image. That’s a great early step that might help you start down a path that’s full of new relationships found with the help of Pinterest. Just like any other social media destination, Pinterest works best when you strike a balance between making comments and responding to them. If someone takes the time to make a comment on something you’ve pinned, don’t just ignore it. Reciprocate by saying something in return, even if it’s just a simple, “Thanks, I appreciate your insight!” That shows you’re serious about building engaging relationships on Pinterest with others, rather than using Pinterest as a purely promotional venture. Depending on your goals, it may be a good idea to specifically try and attract fellow Pinterest users who live in particular parts of the country or world. For example, if you run a business that offers tours for food lovers in certain U.S. cities, starting a pinboard that features an assortment of the best restaurants in Harrisburg might help you gauge whether or not, now is a good time to expand your services to that area of Pennsylvania. If nothing else, that technique could increase the number of connections you have in specific places, so try it if you’re looking for ways to make geographical impacts. Once you’ve gained some momentum in your efforts to reach out to others through Pinterest, keep it going by connecting with Pinterest followers across other social media networks like Google+ and Twitter. That’ll widen your pool of potential contacts even further and increase the likelihood people on similar social networks will also want to keep track of you on Pinterest. While trying to use Pinterest as a marketing tool for your product or blog and relying on the tips above, don’t lose sight of the fact that, above all, your goal should be to inspire others through content. If someone follows you on Pinterest, that doesn’t automatically mean you have to follow him or her back, although the person would probably greatly appreciate it if you do. It’s more important if the content you engage with on or add to Pinterest is inspiring. If something inspires you, don’t be afraid to share it with others. People tend to respond well to that type of content, and it’s more likely to be successful without a lot of extra effort on your part. Eventually, relationships on Pinterest should begin to happen naturally, and you’ll be able to get more followers without being so dependent on the suggestions above. 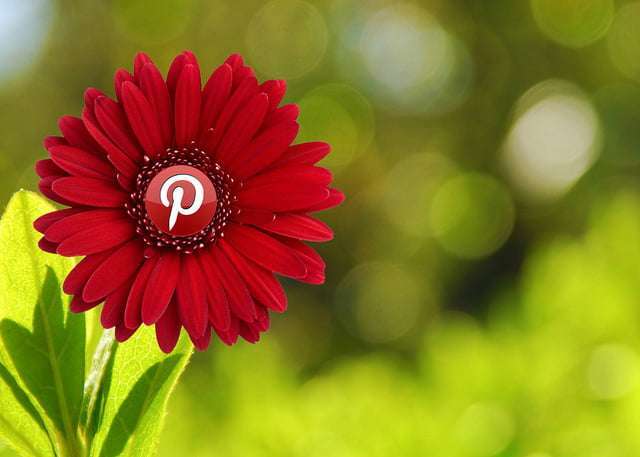 They’ll be helpful, but Pinterest users can easily spot organic, genuine content. If you use the tips you’ve just learned while also sharing images that resonate with others, you’re already going a long way towards creating meaningful relationships that last.